September 15th marks the start of Compassion Week here at SNU. This series of events is meant to get students to start thinking about compassion for others, not just in the mission field, but here at home as well. This year, for Compassion Week, there is a focus on the need for clothing. This will be implemented in the events throughout the week, and there will be a clothing donation box in the commons. The week will begin with the annual Kick for a Cause kickball tournament, starting at 6p.m. on September 15th at Bracken Lawn. Participation is a $2 fee, free with a Crimson card or a donation of two clothing items (shirts, shorts, jackets, etc.…). Donations are highly encouraged. Then on Friday September the 16th, there will be a service project available to interested students. Anyone looking to go and serve can meet up with the group at the circle drive at 2 p.m.
On Tuesday September the 20th, there will be a ping pong tournament at 7 p.m. in the 405. Similar to Kick for a Cause, those looking to participate can play for free with a Crimson Card, bring a donation or pay $2. However, students who sign up for Kick for a Cause or bring a donation to it, do not have to pay again to play in the ping pong tournament. The idea is that everyone will bring three things that they think they would need, if they were homeless, and then camp out on Bracken Lawn. Then on the last night of Compassion Week, September 22nd at 9 p.m., there will be a “Kingdom Come: Stories.” This is where Brayden Hunt, Brady VanZant and Brianna Shay will be sharing stories about compassion. This Thursday, September 15th, to next Thursday, September 22nd, will be full of fun events designed to help students not only to have a good time, but to serve others and to better understand compassion. 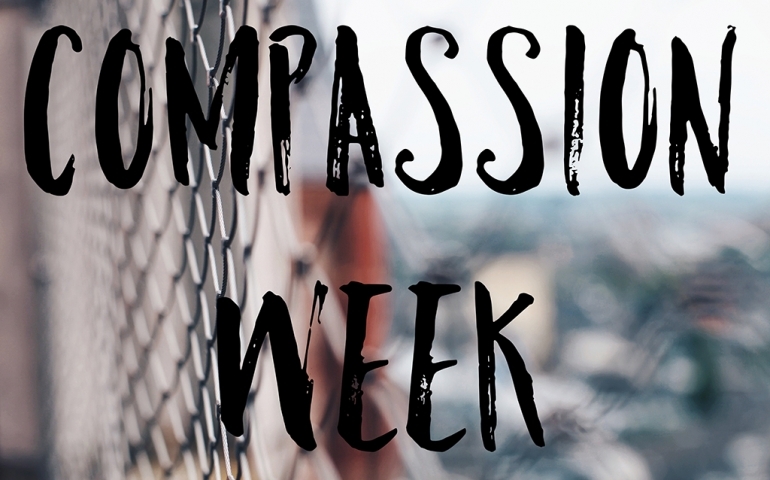 For any questions about anything related to Compassion Week, you can email Luke Luker at lluker346@mail.snu.edu.